Pitching is something every writer is going to have to do, whether that’s in front of a panel, at a one to one meeting, or just to friends and family when trying to test out ideas. 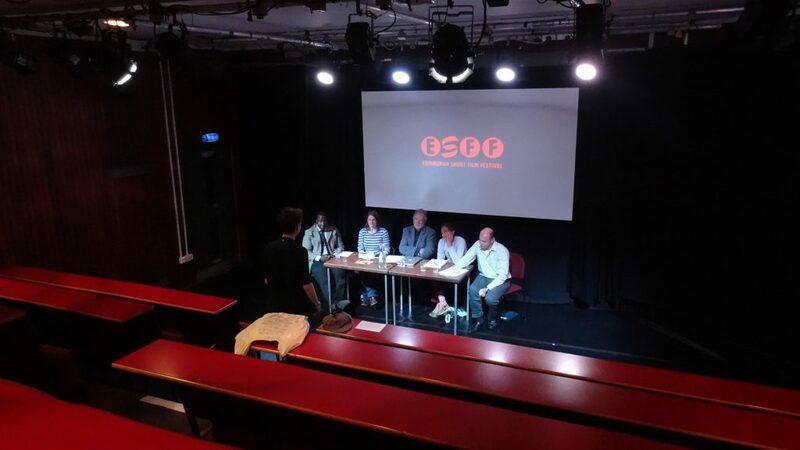 Shore Scripts was lucky enough to be recently invited to be part of the judging panel at this year’s Edinburgh Short Film Festivals Script Pitch Competition, where six finalists were asked to verbally pitch their short film ideas. 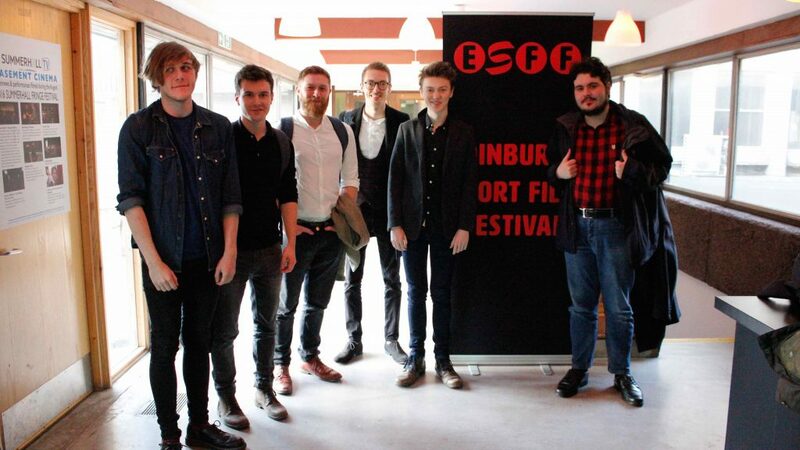 Each finalist had already submitted a one-page document that included a logline and a writer’s statement as well as their five-page script, so were all being assessed on both verbal and written material. Having something that read great off the page didn’t necessarily mean there was a great verbal pitch to match and vice-versa. What was being judged was the combination of concept, writing ability and the writer’s individual personality. Having been on the other side of the table many times myself, I was all too aware of what each of these young writers were going through, so wanted to pass on some useful tips on how to best come across when planning the perfect pitch. It’s natural to feel daunted at the prospect of standing up in front of people to give a presentation, especially with the importance that’s probably been placed on the occasion as well as on the person(s) being pitched to by the writer. Try to relax yourself. If you’re pitching to a professional, it’s likely that you’re one of many that the exec/judge/producer has been listening to that day. It’s just another day at the office for them. Don’t put too much pressure on yourself, the more pitching you do, the better and more confident you’ll become. Don’t read. Standing there, head down, reading your pitch from a piece of paper or prompt cards isn’t allowing you to make that eye to eye contact with your audience as much. It also often sounds slightly impersonal, as you’re not talking naturally. While having notes to hand can help when the dreaded brain freeze occurs, show that you know your story inside out by not having to rely on written aids if possible. Be prepared to ad-lib at any point. And don’t panic, having a memorable ending can save a poor beginning and middle. Be rehearsed but not too rehearsed. Some writers like to prepare their pitch before hand and have it committed it to memory so that they don’t need notes, but again, don’t make it sound like you’re reeling off a written statement. It doesn’t sound natural. If you only have a certain amount of time to pitch, practicing beforehand can certainly help you stick to your timings without sounding rushed. But be wary, forgetting a line or having your rehearsed pitch interrupted by a question can easily throw you off completely and ruin the whole thing. Be personable. Pitching isn’t always about having the best idea; it’s also a chance for people working in the industry to get to know you as a person. You can have a fantastic script, but if you’re not someone people will want to work with, your script isn’t going to get very far. Make sure you make time to talk about yourself, not just the script. Share your writing influences, past and future projects, and talk about what’s interesting and unique about you. Do your research. If possible, try to find out a little about the person or company you’re pitching to. What type of scripts are they looking for? Does your story fit their remit? If not, are you able to connect with them on a personal level by sharing similar interests so that while your idea might not be exactly what they’re looking for at the moment, you might make a good enough impression that you’ll be kept in mind for future projects. Networking isn’t always about shoptalk, think ‘friend’s first, colleagues later’. Pitching isn’t something to dread, it’s something to practice and perfect, just like screenwriting, it’s an art form. In terms of pitch content, be prepared. Have a well-crafted logline that creates an immediate hook, talk visually and paint a vivid picture but don’t just trawl through the synopsis of your story, keep it interesting, plant questions, emotionally engage with the listener and DON’T give away the ending! Having a great concept is only half the battle, pitching is your chance to sell yourself, not just your idea.